i was lucky enough to be a part of nicole of magic maid's blogger secret santa gift exchange this year and thought i would do a post to show off my nice gift from pam of nail-e-glance. 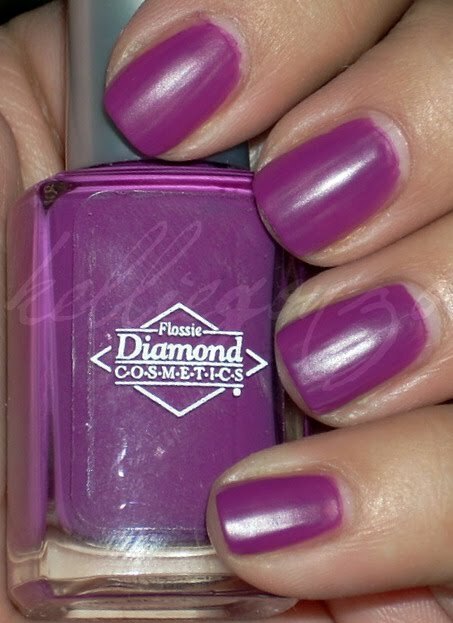 she sent me some awesome diamond cosmetics polishes--the matte collection, and some nail art beads and sunscreen. matte smoke is a nice grey that went on very well. i found that all these mattes were pretty easy to apply as far as mattes go. they dry to a more "satiny" texture than stark matte in my opinion. but i really like the finish. matte mulberry is a pretty purpley-orchid color that i haven't seen before in a matte shade so i like that this is unique and bright compared to the other dark shades you usually see in matte collections. 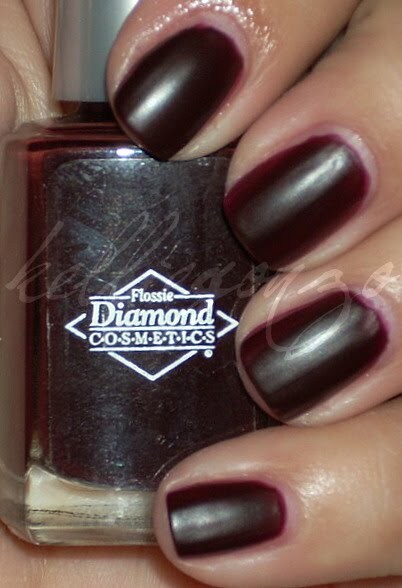 matte burgundy is probably my favorite out of these three, it went on the easiest and it's so vampy and the satin texture is really awesome on such a dark polish! 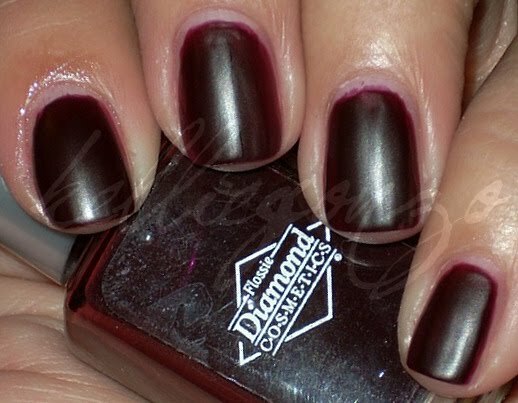 these were my first diamond polishes and i am super happy with them. thanks again miss pamela! !